Industry professionals are looking to absorb the basics of artificial intelligence and big data analytics as they move into a complex and challenging 2019. Big Data Stories- Healthcare professionals gearing up for a data-driven 2019 have spent the past year equipping themselves with the knowledge they need to succeed in a heavily digital environment. Readers of HealthITAnalytics.com couldn’t get enough of artificial intelligence and big data analytics, both of which have advanced by leaps and bounds in recent months. Our “how to” articles featured most often on the reading lists of industry professionals, indicating that many executive and clinical leaders are still cultivating an understanding of these complex and promising technologies. From clinical decision support and imaging analytics to risk scoring, natural language processing, and breaking down data siloes, readers appear extremely eager to develop the skills and strategies required to turn their data assets into actionable insights. 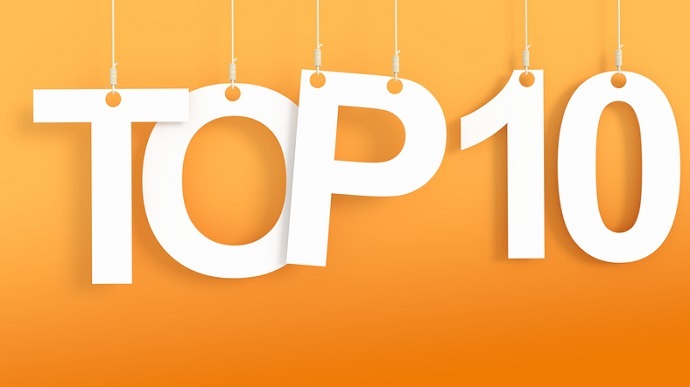 Counting down to the most popular article, here are our top ten stories from 2018. Amazon, Apple, and Google – oh my! The tech giants are gathering to fight for a piece of the healthcare pie, and they are bringing their considerable data-savvy to bear on the problems of consumerism, price transparency, and data analytics. Amazon’s intriguing moves into population health and its partnership with JP Morgan Chase and Berkshire Hathaway may have grabbed the most headlines in 2018, but plenty of other new players are making moves to watch. Google, Apple, Microsoft, and even Facebook are exploring how best to use their enormous data analytics experience and serious financial clout to make a dent in spending and outcomes, leaving traditional enterprises to get better at what they do – or get out of the way. Artificial intelligence is becoming more and more ingrained into everyday life, and the trepidation around smarter-than-human algorithms hasn’t gone away. Clinicians remain wary of AI for a number of reasons, and many have not yet relinquished the idea that AI is out for their jobs. Questions of ethics, liability, accuracy, and privacy remain unanswered as we head into 2019, leaving many stakeholders debating whether or not AI is really the answer to some of healthcare’s most pressing questions. In this article, we break down the arguments for and against artificial intelligence and examine some of the issues likely to be facing the industry for many years to come. 8. WHAT ARE THE SOCIAL DETERMINANTS OF POPULATION HEALTH? The circumstances in which people live, work, and play are becoming increasingly important for healthcare providers who are financially responsible for long-term outcomes. The social determinants of health (SDOH) can influence between 60 and 80 percent of a person’s outcomes, significantly outweighing the impact of direct clinical care. But what exactly are these factors, how can providers identify socioeconomic issues, and what can they do to address these key challenges that affect the majority of people in one way or another? This resource breaks down some of the most common social determinants and offers data and resources to help providers jumpstart their population health management initiatives. Artificial intelligence isn’t the only emerging technology capturing the interest of healthcare stakeholders. Blockchain, the distributed ledger methodology best known for supporting Bitcoin, is also finding a place in the health IT landscape. It isn’t always easy to understand – and even with a firm grasp on how the technology works, it’s not always clear how it will be applied to healthcare’s big problems. Payers and providers considering adding blockchain to their toolkits may wish to check out this list of potential use cases for the decentralized data management strategy. Connecting providers to the right information at the right time is an ongoing challenge for healthcare organizations, especially those that feel like they are drowning in data but lacking meaningful information. Clinical decision support (CDS) tools that sift through huge volumes of data to recommend treatments, tests, or diagnoses can help to ease the cognitive burdens created by digital data overload. But what exactly does “clinical decision support” mean, and how can providers choose and implement these tools effectively? In this article, HealthITAnalytics.com breaks down the basics of clinical decision support and shares expert opinions on how to integrate CDS into the clinical workflow. Predictive analytics tools can leverage machine learning to offer proactive warnings or suggestions for care, but they can also rely on more traditional statistical modeling as well. What are the top clinical and administrative use cases for predictive analytics, and how are healthcare organizations taking advantage of algorithms that purport to offer a glimpse into the future? Risk scoring is a fundamental competency for population health management, especially in organizations that have limited resources to address a wide range of clinical and socioeconomic needs – in other words, just about every organization. Identifying patients headed for an expensive, traumatic exacerbation of a chronic disease before they experience a crisis can reduce spending for providers while maintaining a higher quality of life for patients. Big data analytics skills are required to develop risk scores and present information to providers in a meaningful, workflow-friendly manner. Organizations must gather as much relevant data as possible to create comprehensive and accurate scores, giving providers another tool to engage patients and decide on a plan of care. The post Artificial Intelligence, Big Data Basics Lead Top 10 Stories of 2018 appeared first on erpinnews.